I got this question from a MoneyTalks reader: “My younger brother has just turned 20 and landed his first regular job. To mark the occasion, he’s applied for a credit card. How can I convince him that he doesn’t need one?” Great question. Financial independence is an important part of the transition to adulthood, and it’s positive that your brother feels ready for it. What your brother may not realise is that he’s standing at an important launching point in his life. His twenties could set him up for a lifetime of financial fitness or for decades of debt. So, let’s dispel the myths about credit cards and focus on the facts that make them one of the leading causes of financial stress In Australia. Fact: First and foremost. credit cards are designed to make money for the bank. Your debt is their profit. They want you to spend up to your credit limit, make just the minimum monthly repayment, increase your credit limit over time and buy other products they offer you. Fiction 2: Only careless people get into credit card trouble. Fact: Credit card stress can happen to anyone. I've seen plenty of careful people whose hours got cut at work, or they had an accident, lost their job or had other expenses crop up. Suddenly, their debt became unmanageable and they found themselves falling further behind every month. Fiction 3: Credit cards are more convenient and secure than cash. Fact: You can have the same convenience and security using a debit card that draws cash directly from your account. In fact, most debit cards carry the Visa or MasterCard symbol, which means they can be used in all the same situations as a credit card, but without the risk of interest charges. Fiction 4: With a credit card I can keep track of all of my purchases. Fact: In reality, most people are busy and lose track of their spending more easily when they use a card. Bill shock at the end of the month is not uncommon. Cash is a much better way to keep track of your budget because it’s a visual reminder in your pocket of how much you’ve spent and how much you have left. Fiction 5: A credit card comes in handy for emergencies. Fact: You don’t need a credit card for emergencies—you need savings. Make sure you’re putting money from every pay into a bank account that you keep just for emergencies. Your aim should be to save up the equivalent of about six months’ salary. Don’t worry if your savings start out small; they’ll add up over time. Fiction 6: I can save money by buying things on sale when I see them. Fact: The average discount on retail sales items is about 25 percent, while the average credit card interest rate is around 22 percent per annum. If you’re paying interest on your purchases, any discounts are quickly eaten up by interest charges. Fiction 7: I need a credit card to develop a good credit rating. Fact: A credit card is not the only way to develop a positive credit history. You can enhance your credit rating just by paying your bills on time and by saving regularly. Fiction 8: Credit cards are an indicator of wealth and success. Fact: “Wealth” and “symbols of wealth” are not the same thing. It’s unfortunate that people who appear to be wealthy are often heavily in debt. The true path to wealth is to live within your means. Fiction 9: I need a credit card for online purchases. Fact: You can use a debit card for online shopping and booking hotels—just make sure you get a one that carries the Visa or Mastercard logo. You may need to ask your bank to replace your old ATM card with a debit card instead. Fiction 10: I can get free flights and rewards by using a credit card. Fact: Loyalty programs come at a cost. Firstly, there are usually hefty annual card fees. Secondly, the rewards are not free if you’re paying interest on your purchases. 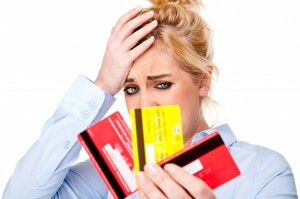 A $3000 credit card balance at 20% per annum will incur $600 a year in interest charges. Suddenly the rewards don’t look so rewarding.